Today, on KHOU Channel 11 News , they did a feature story HERE where one of my Southwest Coupon Clipper's readers, Shannon, reduced her electricity bill after reading one of my posts HERE about powertochoose.com. 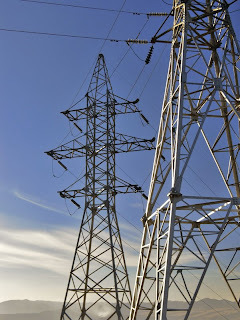 I have done multiple posts on this site HERE and HERE because I am still in shock when I hear how much people are paying per Kwh for electricity. All it takes is one phone call to start saving! Check it out now and see how much your paying, what rates are available and then let me know with one phone call to your electric company how much you end up saving by shopping and comparing. Trust me, it will take some of the heat off your electricity bill! Cellfire released new exclusive coupons to upload to your Kroger and Randall's Loyalty Cards today!! Click HERE to start getting your EASY, NO HASSLE savings!!! You might forget your coupons, but your loyalty card won't!!! Final Cost = As low as $1.25 ea. after coupons and ECBs! Over $35 in Manufacturer Coupons From HEB in Your Mailbox! 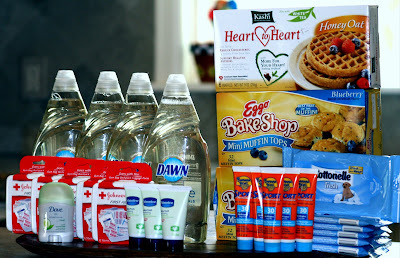 and a lot more including a $1 off any one Dawn Dishwashing Liquid which is on sale at Walgreens this week with their in-ad coupon for $.99 making it FREE! In addition, to the mailer this week, this Sunday's paper had a lot of coupons in it. 1 Smart Source, 1 Red Plum, 2 Kroger flyers and a Parade magazine with Harry Potter on it filled with coupons and a P&G flyer with a B1G1 MQ for Gillette Series and Satin Care Shave Gel. Thanks to Clenece at GoodorFreeDeals for putting together this week's list! UPDATE - $1.00 from HEB home mailer = FREE! Randalls Quick Trip 6/27 and FREE Movie Pass!!! 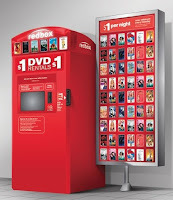 Final Cost = $3.94 or .66/each, but earned a FREE Movie Ticket! Remember to check out this deal HERE to get FREE Deodorant and Body Mist while your at Target! Target FREE Body Mist and Deodorant!! UPDATE!!! I have recieved a couple of comments regarding the coupon stating EXCLUDES TRIAL SIZE. I looked and did not see it on my coupon. I then decided to double check again and DID NOT REALIZE and did not realize that yes it does say excludes trial size underneath the picture. I just read everything to the left and don't know how I missed that (twice)!! Even though the register accepts the coupon, I apologize for the wrong info! Hate when I think I found a great deal and miss the fine print. 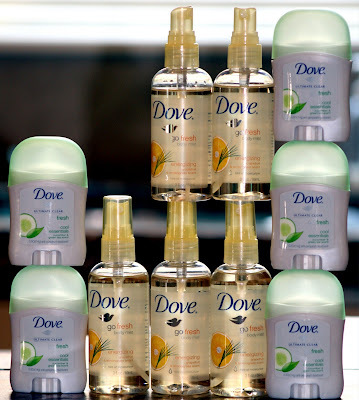 There is a coupon in tomorrow's Red Plum insert (6/28 RP)for Buy one Dove Deodorant, Get One Body Mist FREE up to $6.00. Well, I could not find the larger bottles of body mist, but did find the smaller ones for $3.69 sitting right next to the larger size deodorants. The great deal is that the trial size deodorants work on the deal also. ***MAKE SURE YOU GIVE THE B1G1 (buy one get one) FREE coupon FIRST!!!! before you give the Dove deodorant coupon or it will apply the discount incorrectly and make it a hassle to correct for everyone! What a FRESH FREE Deal!! Check out Ginger's post here for more coupon matchups this week! Before you head out make sure you load your e-coupons for FREE to your Kroger card from the following sites: Bringing Hope, Cellfire, PGesaver, and Shortcuts . Also, make sure you register your Kroger loyalty card to receive special coupons and mailers. My Kroger doubles coupons up to $0.50 and triples coupons up to $0.39. They only accept up to 3 of the same coupon. 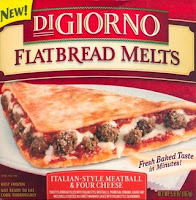 Check out HotCouponWorld for a complete match up of this week's Kroger Deals! Look What Showed Up Today!!!! Look what showed up today! 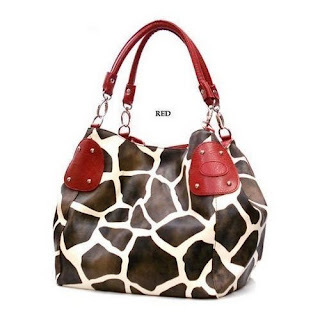 This awesome Red Large Vicky Giraffe Print Faux Leather Satchel Bag Handbag Purse and two puppies. My daughter has one of these purses and uses it as an overnight bag and LOVES it! I ordered it for my mom HERE at Amazon.com the other day and it arrived TODAY! (what quick delivery along with my mother's Snorkie puppies that I forgot I told her I would puppysit! ) 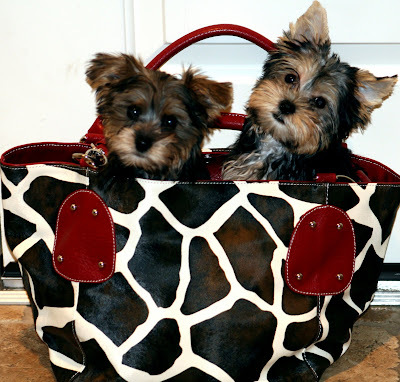 The puppies loved the purse and hopefully my mother will love it too on her birthday! You can get one right now at Amazon.com on sale for $17.49 plus shipping (shipping to Houston = $23.48!!) Originally this purse sales for $91.98!! Paint the Town FREE Today! FREE Quart of Glidden Paint! Paint the town red or give that old chest a new coat. Starting today you can get your FREE quart of Glidden paint thanks to Glidden's™ National Paint Giveaway. Pick out your favorite paint color and Glidden will send you a FREE quart. Go HERE to check it out! Looks like Glidden Paint is sold at Home Depot . Click HERE to find a store near you! FREE Astros Tickets for Kids 14 and Under This Summer! Here's a Home Run in Savings! The Astros and Minute Maid Park are making it easy and inexpensive this summer for Houston families to watch their favorite baseball team play ball and knock them out of the park!!! For every full price adult ticket you purchase in the View Deck I, View Deck II or Mezzanine for games between June 23rd and August 23rd you can get TWO FREE TICKETS in the same price level for kids 14 and under! That's a Grand Slam!!!! Click HERE for more information. There are many other great promotions and events this summer at Minute Maid Park so check it out and help cheer on our Astros this season! What a deal! 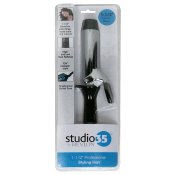 Walgreens $1.99 Studio 35 Curling Iron! Getting a Lawn Meter can Save you Hundreds of Dollars! My friend, Michelle told me that she recently realized that she had been paying sewer fees for the water she uses to water her lawn and operate her pool! For Michelle, that was approximately six times the amount of water that she actually uses in her house! Shern-Min Chow with KHOU Channel 11 News got wind of Michelle's story and did a top story news segment based on how to save money and not throw it down the drain. You can Click Here for the full video and news story. A summary is below. "In summary, if you are using a standard water meter, you pay a sewer fee for water you use, plus the water that goes down the drain. For many homeowners, most of their water never actually goes down the drain. Instead, it’s used to water their yard and other similar uses. But whether it goes down the drain or not, you are still charged the sewer rate. " 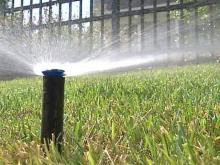 A lawn meter reads just outdoor usage and there is no sewer fee. Although it costs approximately $1,200 to $2,000 to purchase and install, it should pay for itself after 2 years. For long term home owners this could be a huge cost savings. Another FYI, if you want a lawn meter, Houston homeowners must apply through the city. FREE Hula Umbrella at Rite Aid TODAY! 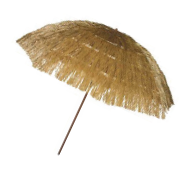 We don't have a Rite Aid in Houston, but for those of you who do, right now you can get one of these cute and fun 6-ft. Hula Umbrella’s for FREE at Rite Aid TODAY, Tuesday, 6/23. These were the deals at Target that looked good to me this week. For a more extensive list check out Ginger's post HERE. Also, as we all know Target is a hit or miss when it comes to cashiers/manager's and their understanding of Target's coupon policy of adjusting down and stacking target coupons with manufacturer's coupons. When I was about to check out I asked the cashier, "Do you know how to adjust down coupons?" Her reply was, "No" so I moved to the next cashier and asked her if she knew how to adjust down. She said, "Yes." Alright, good deal. When I got home and looked over my receipt, I realized that she did not adjust down my coupons at all! She just pushed through the full amount of all the coupons, So I was over about $1.00 or so and that is why my total spent came to $1.13! That is when "Your Miles May Vary (YMMV)" comes into play. Good luck and remember to have Target's number (1-800-400-0680) handy in case you have any issues with your coupon purchases! 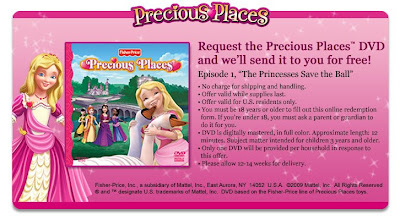 FREE Precious Places DVD!! No Shipping, Absolutely FREE! Get your Precious Places DVD HERE. That includes shipping and handling! Absolutely FREE!! thanks to Clenece at GoodorFreeDeals for the FREE Code! Final Price = FREE and $1.00 moneymaker! - $1.50/1 Diapers Upromise e-Coupon (can be used in addition to the coupons above)Final Cost = $4.49 – $7.49 ea. There will be 2 Coupon Inserts in Today's Paper! 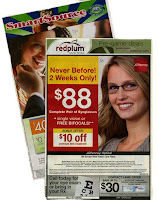 May be a good idea to get multiple papers with inserts from Smart Source and Red Plum. 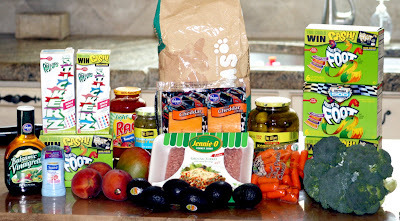 Check out hotcouponworld for the complete list! Let me know if you find any other hidden coupons in this week's paper. OldNavyWeekly reloaded their coupons again today. The high dollar $75 off $100 have already been snagged, but $30 off $100 (move dumbell to guy below in blue shirt) is still available and 25% off $50 (when you put guy doing push ups arm back on). 15% off entire purchase when you click on get their no-sweat style logo. Just go to OldNavyWeekly.com and start clicking around to see what savings POPs UP! Let me know what you find and good luck hunting! $75 off $100 - catch the running squirrel (good luck) GONE! $50 off $100 - click the orange "eye candy" headline and vote for Eva GONE! 15% off - click orange "get no sweat style"
Gap 25% off Sale on all Gap Purchases Including SALES ITEMS!! Well, they say to watch out because before you know it your children all are grown up! 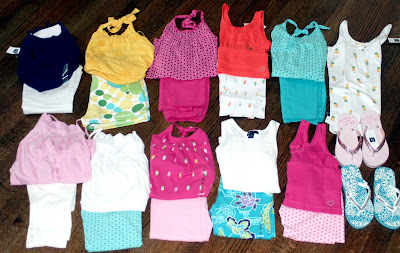 Well, we have a ways to go, but my daughter definitely outgrew her clothes overnight. I decided to stop by The Gap to see if they were having their summer sale (I got 6 bathing suits last year for $1.99/each) and boy were they!! Right now the Gap has tons of items on sale and some as low as $4.99, but what is even better is that from June 18 - June 21 GapCard Members get an additional 25% off on all GapCard purchases!!!! I needed to pick up 2 birthday gifts also and pick up two additional outfits for $13/each!! Perfect Summer Score Savings! P.s. If you don't have a GapCard, you can apply right then and there and you will get a temporary number to caputre the summer savings! Let me know what you snag! Old Navy is at it again. 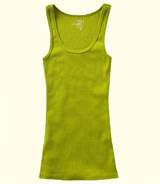 A $2 sale on rib-knit tanks tomorrow, Saturday June 20th. There is a limit of 5 per customer. This is a great deal and then I remember the pictures in all the papers and on the Internet of the $2 flip flop sale scene! So good luck and get your sleeping bag because I heard the line outside Old Navy is similar to the one outside Best Buy at Christmas for the Wii!! They are reloading Old Navy Weekly's coupon hunt as we speak so hopefully they will have it up and running in time for you to snag a high dollar coupon to use while your snagging your $2 tanks! Schwan's $5 Coupon & Quick Delivery!! Now that is delivery service! Remember yesterday when I posted HERE the $5 coupon at Schwan's and how I ordered the classic 18 pk. 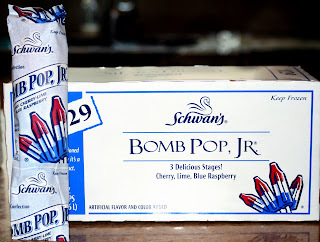 of Bomb Pop, Jr. for $1.21 with coupon code D5!!! Well, I didn't think they were going to be delivered until June 26th and much to my surprise my door bell rings today and Cory, the delivery man, has them in hand. Much to his surprise he said, "That will be $1.21. Wow! I don't think I have ever seen or said that before." I think we both stood their a little shocked! My kids with the help of our friends and neighbors have already gone through half the box. I'll have to check and see if that $5 coupon can be used twice!! TODAY, Click HERE to get your FREE 20 oz. Light Smoothie . Flavors include Strawberry Delight, Tropical Sunlight or Berry-Pom Twilight at Orange Julius. 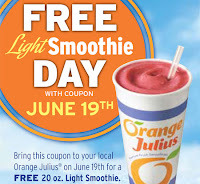 Coupon is good for today, Friday, June 19th - at participating locations while supplies last. Limit 1 coupon per customer. 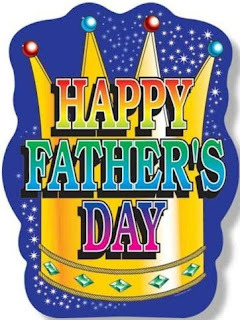 Click here for a location near you! FREE Root Beer Float at A&W Restaurant TODAY!! Today, June 19, 2009 at A&W Restaurant from 2-8pm you can treat yourself to a FREE small root beer float to help celebrate A&W's 90th Anniversary. There is no purchase necessary. Limit one per customer at participating locations. Find your nearest location HERE. 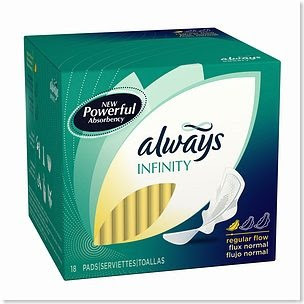 Kroger has some pretty good staple FREEBIES and more deals going on this week. My family is full of big meat eaters and they really wanted steak for dinner and bacon and eggs for breakfast so today's run covered all that! My bill will be a bit more than others b/c I do buy organic milk (could not get coupon to print!) and I also bought tenderloin (pricier than other meats) and deli lunch meat (pricier) which had coupons, but are still high price items. Here are a few of this week's deals I snagged and a few others. 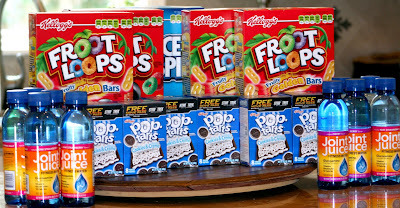 There are alot of items on closeout this week too so keep your eyes open in the cereal aisle! Before you head out make sure you load your e-coupons for FREE to your Kroger card from the following sites: Bringing Hope, Cellfire, PGesaver, and Shortcuts . Also, make sure you register your Kroger loyalty card to recieve special coupons and mailers. My Kroger doubles coupons up to $0.50 and triples coupons up to $0.39. They only accept up to 3 of the same coupon. Final Cost = $7.30 for (5) 6-pks. 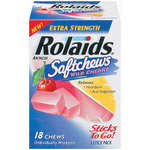 or $1.46/each!!! That's how much just one 20 oz. bottle costs! (Okay, the deal advertised is buy the bacon get the eggs for FREE, but their sign at the store said buy eggs get bacon FREE) so in addition to getting the eggs free they gave me the 2 packs of bacon for $5.99 for FREE! Cha Ching!! Final Cost = FREE Breakfast! Final Cost = $12.21 for 1.6 lbs of tenderloin! Dinner served! For more coupon match-ups for this week, check out HCWthankstoZM! UPDATE! - I just got one to give as a gift! Total with no tax & shipping $23.48! Okay, I saw a woman carrying this bag the other night at dinner and a friend also gave one to my daughter for her birthday. SHE LOVES IT! She loves to carry it around and use it as her overnight bag. Right now on Amazon.com it is on sale for $17.49 (81% discount!!) Originally this purse sales for $91.98!! Summer is Here! and everyone is hitting the road or taking to the skies. What's Your Destination? These Free Travel Guides can help you find and get you where you need to go! Browse destinations and see where you and the family might want to adventure. A lot of times advertisers put coupons on hotel stays and amusement parks inside these Travel Guides so make sure you scan to see if any Travel savings pop out! Best thing about it - FREE! 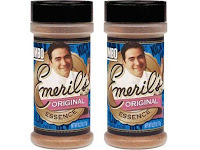 Sign up to receive two FREE sample packets of Emeril’s Original Essence (.25 oz./each). Limit one request per person, household or address to U.S. residents only. Allow 8-12 weeks to arrive. Thanks to Southern Savers there is a great ECB deal at CVS for Style Science. It is Confirmed! I did not find them at one CVS , but there were tons on the Style Science sunglasses rack at another CVS nearby. Buy (2) for $1.98 plus tax and earn a $10 ECB! Final Cost after ECB = FREE plus $8.02 Money Maker! Sign up HERE to download a FREE Garden Crafts Ebook. The crafts are environmentally friendly and inexpensive. My kids are always looking for things to that involve glue and paint outside so this will give them a great summer project! 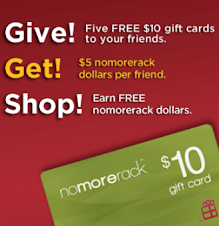 Shop 4 Freebies FREE Samples! I will update the orginal post HERE with the NEW Register Reward find at Walgreens this week! 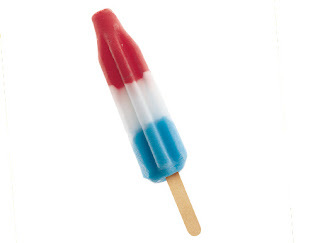 Bomb pops were my ALL TIME FAVORITE popsicles growing up! You had to get them from the Ice Cream truck and just like every other child in America, I ran like lightning when I heard the music of the Ice Cream truck coming down our street. Nothing has changed since then except you can't buy them for a quarter like I did when I was little. Your looking at $1 for that same bomb pop from the same Ice Cream truck! That quantity, price and delivery beats store bought and ice cream truck prices anyday and everyday! 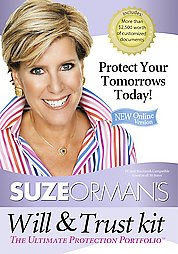 Go HERE, click on gift code and enter the code People First to get a FREE Will & Trust Kit. Today, was one of Southwest Coupon Clipper's Summer Savings Sharing Days!!! Remember all those FREE Bayer Glucose Meters SWCC got with coupons HERE , HERE and other times? 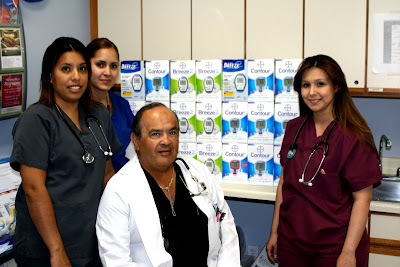 Well, now all of those meters have been donated to a wonderful family practice which sees a lot of diabetic patients who can not afford blood glucose meters ($59.99 - $79.99). When I was a diabetic pharmaceutical rep, I called on Dr. Jorge Guerrero, MD, Family Practice at 6710 Capitol Street in Houston, Texas. 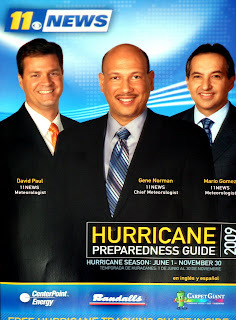 Dr. Guerrero and his staff were always so nice and genuinely cared about their patients. 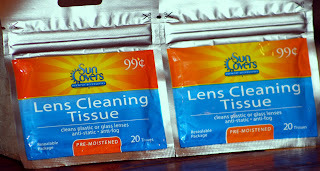 I knew they would be the perfect place to share Southwest Coupon Clipper's Summer Savings! Type 2 Diabetes can be delayed or avoided altogether through careful blood sugar monitoring and control. Below are some other FREE and discounted items for diabetic patients. Free Diabetes Meal Planner - Sign up to receive FREE information and meal plan guide to learn how to manage blood sugar. Quality Health - Diabetic Nerve Pain - Nerve Pain caused by Diabetes? Manage your pain with these special offers. Slim Fast Weight Loss Program - Start your FREE weight-loss program today! AMA - Voice for the Uninsured - Register and tell Congress that it is time to take action regarding Health Insurance. It's your FREE voice for change! Final Cost = 8.34 plus tax = $9.03, but Earn a $10 ECB!!! Final Cost after ECB = FREE plus some overage! 1. 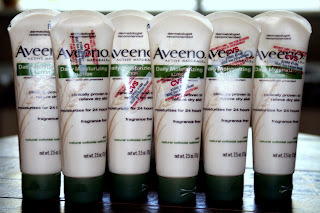 I found the moisturizer in the lotion section of the store not the Aveeno section. Cellfire just released today new exclusive coupons to upload to your Kroger and Randall's Loyalty Cards!! Click HERE to start getting your EASY, NO HASSLE savings!!! You might forget your coupons, but your loyalty card won't!! !